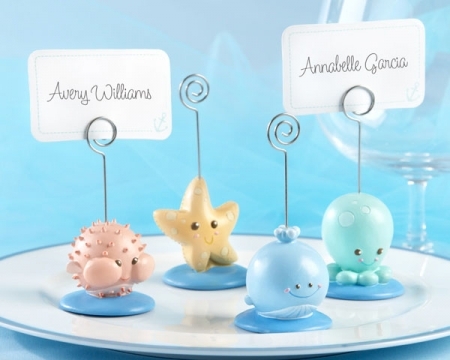 Baby shower favors are one of our best selling categories. And why not? Just look at all the cuteness! 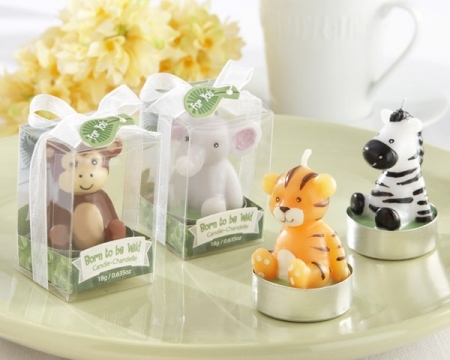 Between the "Born to be Wild" Animal Candles and the "Beach Buddies" Seashore Place Card/Photo Holders how can you resist? Another popular occasion to celebrate is a bridal shower. When you add bridal shower favors to your tables, that makes the day so much more memorable. It is the finishing touches that will really make the bride to be feel special. If you are planning a wedding, you will need fabulous wedding accessories to help put the finishing touches on your big day. The bride and groom will need special toasting flutes and a very special cake knife serving set for the big moments during the reception. 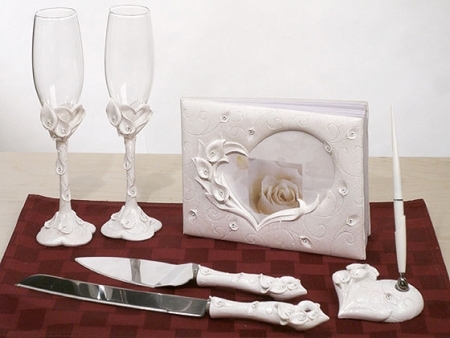 Also, don't forget the matching guestbook and pen set that goes with the theme of the wedding. 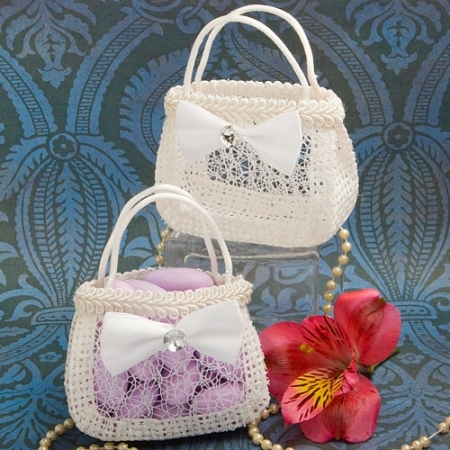 These special items are keepsakes that the bride and groom will cherish long after the wedding day is over. You don't even need a major life event to show your friends how much you care. We even carry favors for "Girls Night Out"! 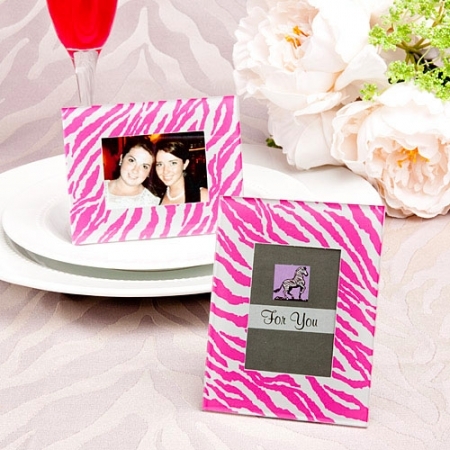 Go wild and give your friends a Pink Zebra Pattern Place Card Holder/Picture Frame Favor with a photo of all of you in it. For a little luck out on the town, everyone should have a Las Vegas Themed Chrome Keychain With Crystal Dice. 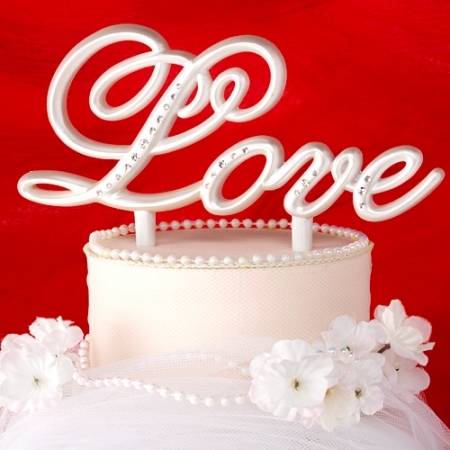 Express Wedding Favors makes it easy for you to shop for your favors by occasion. Don't pass up the opportunity to give your friends and family a keepsake from your event that they will treasure through the years.